Chinese new year is around the corner. Mr Dragon is making an exit and Miss Snake is ready take the spotlight in 2013! 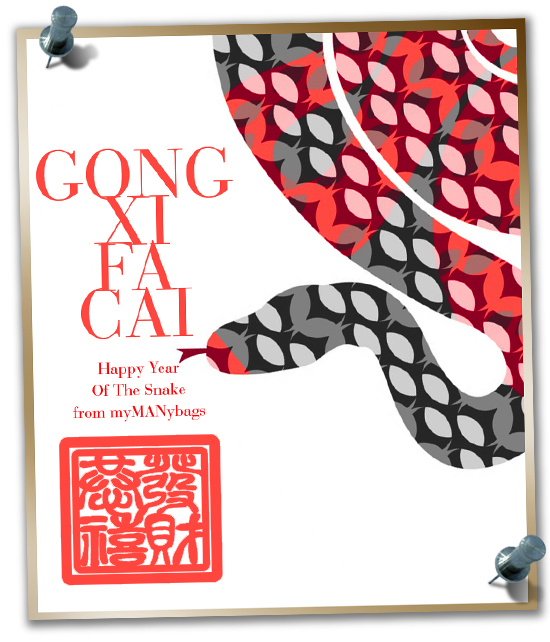 So here's wishing all my readers a HAPPY PROSPEROUS CHINESE YEAR OF THE SNAKE. May you and your family be blessed with lots of luck and health... More bags, more $$$ and more exciting happenings for the coming year.